The ultimate combination of vintage wool character with the pure comfort of cotton. 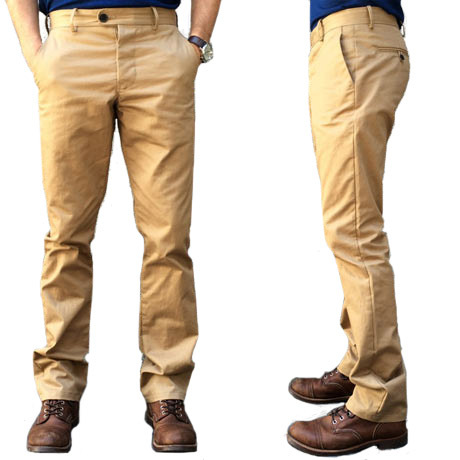 These are the Japan Vintage Wool Chinos. For our first wool chinos, we went with a fine merino style from Pendleton. This time, we wanted to find something with a more traditional wool character, while still having enough comfort to be a true daily wear pant. We found the answer in Japan. Even from afar, you can detect that this is no ordinary twill. You see the thickness, you see the subtle fibrous texture on the surface that a classic wool has. Putting them on confirms your initial impression but leaves you even more impressed. You instantly feel the texture of wool, but it's quite soft and not itchy. That suppleness comes from the cotton blend composition. 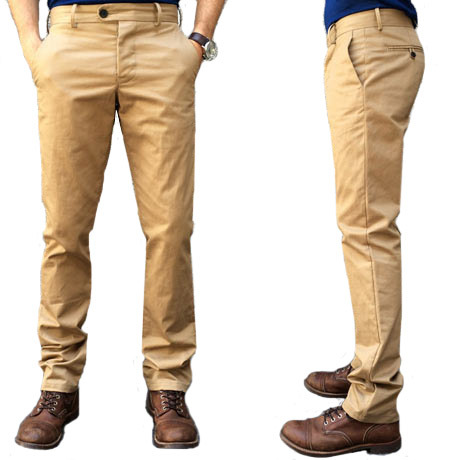 These chinos are equal parts heft, warmth and comfort in a refreshing way. This version is an inky, dark navy. Vintage character with real style and comfort.